Easy, tasty, healthy slow cooker recipes for the whole family! The very best healthy slow cooker recipes—from the series that has sold more than 11 million copies! You want to eat healthy, but you also know the foods your family craves are often not the best choices for their bodies. Now you and your family can indulge in healthier versions of comfort food favorites, such as macaroni and cheese, chili, chicken wings, and more! You can trust these recipes because they are— Collected from some of America’s best home cooks Tested in real-life settings Carefully selected from thousands of recipes Everyone wants to feel like a smart cook, but it’s tricky when you’re navigating picky palates, different diets, and tight schedules. Fix-It and Forget-It Healthy Slow Cooker Comfort Food Cookbook has something for everyone, with nutrition info included with every recipe to make sure what you’re cooking fits your family’s needs. Find recipes such as: Buffalo Chicken Meatballs Southwestern Shredded Chicken Potato Leek Soup Homestyle Bread Pudding Dark Chocolate Peanut Butter Cocoa And many more! Finally, a cookbook that makes dinner easy, even for families with diverse dietary needs! 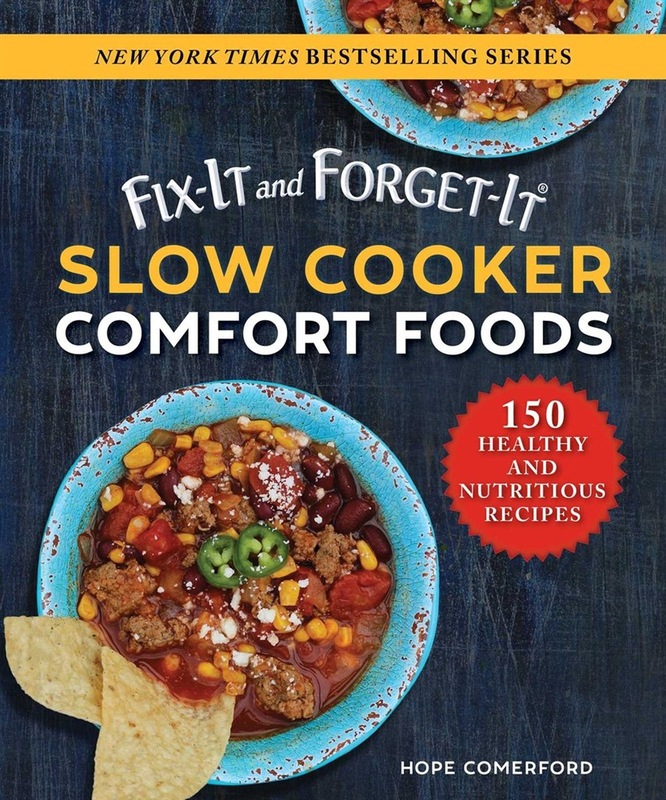 Acquista Fix-It and Forget-It Slow Cooker Comfort Foods in Epub: dopo aver letto l’ebook Fix-It and Forget-It Slow Cooker Comfort Foods di Hope Comerford ti invitiamo a lasciarci una Recensione qui sotto: sarà utile agli utenti che non abbiano ancora letto questo libro e che vogliano avere delle opinioni altrui. L’opinione su di un libro è molto soggettiva e per questo leggere eventuali recensioni negative non ci dovrà frenare dall’acquisto, anzi dovrà spingerci ad acquistare il libro in fretta per poter dire la nostra ed eventualmente smentire quanto commentato da altri, contribuendo ad arricchire più possibile i commenti e dare sempre più spunti di confronto al pubblico online.